I agree with Meesha's feeling that Harry naming his kid after a man with which he spent 7 years in deepest dislike and animosity never sat right with me either. It seemed forced and contrite, like Harry was trying to make up for the fact that he hated Snape for so long but that they turned out to be on the same side. I do get where TreacleTartlet, Pearl_Took and others see that it was honoring Snape; yes, I agree that Snape would have hated one of Harry's kids bearing his name but he was also not there to expressing forbid Harry from doing it. With Meesha's example of naming her son after her father, if her father had died before she had told him she wanted to name her son after him she'd never have known that he didn't like his name or that he wouldn't want anyone else saddled with it. In that instance, Meesha would have probably continued to believe that naming her son after her father would be honoring her father. (i'm assuming this was the only time her father's dislike of his own name came up) I can also kind of see Snape being taken aback that Harry could do what he could not and put aside his feelings of animosity. What about Ginny's six older brothers? What about her father? Was Harry the only one choosing these names or was Ginny so compliant that she went along with names that only held meaning for her husband? Why couldn't it have been James Arthur honoring both of their fathers? Why couldn't it have been Albus Fredrick honoring the mentor Harry lost and the brother Ginny lost? In short, I have lots of issues with harry's kids' names beyond just having Severus in there. I have to laugh. I found out the hard way with my children, particularly sons, that naming children can be quite contentious, with expectations that certain formalities and honors be kept. Such a frustration. And all you want is just a happy naming, and everyone gets upset that their choice wasn't chosen or honored. Knowing that, I have no issues with who the kids were named after. Ginny did like Sirius; Sirius died rescuing her among others. She was a member, even a leader, of (Albus) Dumbledore's Army and a student at Hogwarts during the tenure of both Dumbledore and (Severus) Snape. So these three names are ones of people who also have some connection to her. It is only the names James and Lily that do not, and there is asymmetry in that Ginny has no kids named after members of her family. Considering, however, the matching assymmatry in their circumstances, that she has living parents and five surviving older siblings while Harry is an orphaned only child - I would guess Ginny and Harry both understand that the Prewetts and Weasleys are likely to get their due in the naming of some of James, Albus, and Lily's (numerous, one would expect) Weasley cousins. Well, no - that was confirmed by Jo actually. Snape hated Harry to his dying breath - and I feel that was very well demonstrated in the books. What was confirmed by Jo ? That Snape hated Harry till the end or that he would have hated that Harry named a kid after him or both ? Snape loved Lily and his actions were for her - not Harry. He hated Harry. Harry understood that Snape loved his mother, but he also understood that Snape hated him. As such, naming one of his kids after Snape was disrespectful, IMO. You don't honor someone by doing something that you know they would hate. I think this is simply Harry not thinking too much about it. I don't think he intentionally thought about disrespecting Snape when he named his kid. He wanted to honor Snape and most people are honored if you name your kid after them and so he did, not considering that Snape was a special case. Well, no - that was confirmed by Jo actually. Snape hated Harry to his dying breath - and I feel that was very well demonstrated in the books. Snape loved Lily and his actions were for her - not Harry. He hated Harry. Harry understood that Snape loved his mother, but he also understood that Snape hated him. As such, naming one of his kids after Snape was disrespectful, IMO. You don't honor someone by doing something that you know they would hate. I agree, for Snape , to me, Harry would be a constant reminder of James and the fact that James was Lily's ultimate choice, James was the one she fell in love with, not Snape. Harry naming his kid after Snape, then, can go both ways - Harry is honoring Snape's love for his mother (which I find weird) by naming her grandchild after him and also flagrantly disrespecting Snape by doing it because Snape so badly hated Harry and his father. Actually, my dad never expressly forbade me from doing it - he just told me that he hated his name and part of the reason he hated it wat that it really wasn't a good name for a kid. He got teased about it when he was young - which is why he started using a nickname that wouldn't get him teased. ... I didn't say in my post that he forbade you from using the name I said that (with the story you presented) it seemed as though you didn't know he hated his name until you expressed a desire to name your son after him and you respected his dislike of his own name by choosing another. You didn't have to have a pensieve to see those moments in his youth because you respected his wishes when he said he didn't like his name. The difference for me was that I didn't have access to a pensieve to see such incidents from my dad's youth. I didn't know until he told me. Snape didn't have to tell Harry because Harry saw it for himself. He knew Snape hated him from the time he was 11 years old till the time Snape died. He knew why Snape hated him. He had seen how easily Snape's name was converted to something insulting and mocking. In that respect, it's not just disrespectful to Snape because Harry knew Snape would hate it - it's also rather disrespectful to his son because he saddled him with a name that has a lot of potential for getting him teased. Though, on the plus side, he did make it his middle name so most people will never even know about it. I never knew my best friend's middle name until about three years ago (and I've known her going on... 9 years now) and to be honest right now I can't even remember what her middle name is, though I think it starts with a D. Dominique? Denise?... I agree the best thing Harry did was make Severus Al's middle name but I also still agree Harry should have chosen something that didn't disrespect Snape. Coming from a rather large family myself, I found that to be realistic. Ginny is the youngest of her siblings and, being part of such a large family, the names get used. Bill's full name was William Arthur. Ginny's was Ginevra Molly. Percy named one of his daughters after Molly. George named his son after Fred - which is fitting because Fred was his twin. In addition, apart from Fred, they're all still alive so it would be confusing to reuse first names - that actually happened on my father's side of the family. Three kids named after my grandfather in the same generation. Only one actually gets to use the name - the others have to use nicknames so there's no confusion as to which of them is being spoken to or talked about. We've got two more in the younger generation - a brother and sister. My aunt and uncle demonstrated a complete lack of originality by using the masculine and feminite forms of the name for both their kids. Really confusing when we all get together. Addressed in the Ginny thread. I see it in the same context as Molly giving Harry her brother's watch instead of giving it to Ron or any of his other siblings. For the Weasley kids, Fabian's watch would only have been another hand-me-down - and they had plenty of those. It meant more to Ron to get a new watch - something of his very own - instead of another hand-me-down. It meant more to Harry to get Fabian's watch because it was Molly's way of showing him that he was part of the family. Harry could afford to buy a new watch on his own so, where the watch would have been just another hand-me-down to Ron, it was an heirloom for Harry. I agree with parts of this; that it meant more to Ron to get a new watch and more to Harry to get a family heirloom which he never got from his parents (excepting the cloak). Names are different though. I don't know of many people who go around complaining that they share their middle name with two other people in their family. Names aren't exactly hand-me-down things. That's true for family names as well. For Ginny, they are just names that have been passed on and have already been reused by her brothers. Why make family dinners confusing by having two Fred's or two Molly's? just like we don't know who suggested each name, we don't know if ginny thought of them as 'just names that have been passed on.' I think including her own father's name in with her son's name (as a middle name: James Arthur) would mean just as much to her as Harry having his son named after his father. Who cares if Arthur has already been used as a middle name - it kind of, in a way, pays respect to Bill that Ginny and Harry chose a name he shares with their child as well - and unless the kid is called after his middle name there'd be no confusion at family get togethers just like there's no confusion when Bill comes to dinner with his middle name. Also addressed in the Ginny Thread. That doesn't mean that Arthur wouldn't still be honored if his daughter and son in law named their child after him even though there's already a Bill Arthur. That doesn't mean George would be any less touched by having his little sister honor his dead twin by giving her son the middle name Fred. I disagree with the idea that it means more the Harry to have his kids named after his own small family than it would mean to Ginny to have her kids named after those in her family. And besides, Harry's family (extended to include people like Sirius, Remus, Hagrid and... ok, Severus) is so small that at the rate they've gone through those names they'd have to start in on Ginny's family names if they had kept on having kids anyway so there would have been repeating family names anyway. For me they should have either equally divided familial honoring between Harry and Ginny's families or not gone with family names at all. I find it difficult to believe that Harry would consider it an honor in any context because he knew that Snape hated him and why Snape hated him. I find it weird too - and rather creepy considering that all three of his kids are named after people who were involved in a sort of love triangle. He had never mentioned it prior to that, no. However, if he hadn't been the one to tell me and someone else had - or I had a pensieve - I would have done the same thing. To me, how I found out doesn't matter - the point is that I did find out and understood that would not have been honoring him. Harry knew that Snape hated him - and he knew that it was because Snape could never get over his mother and he was a living reminder for Snape that his mother had fallen in love with someone else. Doesn't really matter how he found out - he knew so he should also have known that Snape would hate the fact that Harry named one of his kids after him, IMO. I don't know my best friend's middle name now - I'm pretty sure she never mentioned it. If she did, I forgot it long ago. Middle names really aren't used for anything beyond official business and parents wanting to let their kids know they mean it. When mom or dad says your full name, you know they mean business. It's not really repeating in Harry's case though. His middle name came from his father - he named his oldest son after his father and godfather. Harry had no siblings and Sirius had no kids of his own so it wasn't an issue of those names being used over and over within his family. Middle names can be an issue as well - particularly in large families. My mother is one of six children. My grandparents each came from large families - my grandfather being one of 13 children and my grandmother being one of 10 children. My mother and her two older brothers have middle names. The twins and her youngest sister do not have middle names because my grandparents drew a blank - all the family names had been used and nothing new came to them when it came time to fill out the paperwork. We never knew him actually. He was killed by a drunk driver when my dad was two years old. That's why everybody wanted to name a kid after him. After the fifth one - the girl - my grandmother put her foot down and said that was enough. Depends on the person. My dad hating his name wasn't the only reason he didn't want anyone named after him. The other was that he had been named after his grandfather. He loved his grandfather dearly, but didn't consider the name a good one for a child and never felt as though it was his. He and my mother are both of the opinion that people should have their own names rather than be given someone else's name. My mother is quite adamant about it and tends to lecture. I'm not sure why she feels so strongly about it - she wasn't named after anyone. I can see their point with names being repeated though. After a while, it doesn't really have any significance anymore. When my aunt named her daughter using a feminine form of my grandfather's name, the rest of the family no longer thought that was nice or an honor - it was more along the lines of "Really? Another one? There are already four boys." Or it could be like my family with people wondering why they didn't come up with something new. Considering Ginny was not one to be pushed around or back down when something was important to her, it seems more likely to me that she either chose the names herself or chose them with Harry and thought they were good names. I can't see Harry railroading Ginny into anything she didn't want or wouldn't be happy with. Doesn't mean they would either. I doubt Arthur was upset about it - he already had namesakes. So did Molly. I think everyone would have agreed that George had the most right to use the name Fred - that was his twin. That's not to say that George would have gotten angry if one of the others used it, but I don't believe any of them would have because they knew how close the twins had been. They could also use other names as well. It's not a law that anyone has to name their children after someone else after all. As I said above, I can't see Harry forcing Ginny into doing something she didn't want to do or wouldn't be happy with because Ginny is not one to back down. If she had wanted to use names from within her family, she would have, IMO. I think it's more likely that Ginny picked the names because Harry was never one to ask for things. I doubt it was something that caused a problem between them because all of those people mattered to Ginny as well. Family is not just a blood connection - it's an emotional bond as well. It doesn't seem that's why Harry gave Al the middle name of Severus. His explanation to Al seems to imply Harry respected what Snape did toward the defeat of Voldemort -- he mentions Snape's bravery, and that's it; nothing to do with Snape's feelings for Lily. I think the naming was a mark of respect on Harry's part, and I doubt Snape would have cared either way had he known. I find it pretty normal actually. Harry named his children after his mother, father, godfather, friend, mentor; and with time to reflect on things, after someone Harry respected for his bravery and loyalty in Harry's view. SO AGREED! I just didn't know know to phrase that... totally creepy. But having it as a middle name and then using it as a first name in the next generation is still repeating a name to me. I share my middle name with my mom and I consider it a repeat, but it's also a family tradition that I feel honored to carry on and treasure the heirlooms passed down to me from my mother and my namesake. Definitely. That would be like Rose or Hugo deciding to name one of their kids after Viktor Krum. Some things just have REALLY BAD IDEA written all over them. I was referring to repeating the name within the same generation. It's one thing for a name to be passed on from parent to child to grandchild, etc... It's quite another to have a set of siblings and/or cousins in the same generation using the same name over and over. After a while, the gesture has no significance anymore and it just becomes lack of originality. Once within a generation is enough, IMO. It would have - they just drew a complete blank. But that's understandable when you consider that we're talking about a rather large number of siblings and cousins who all lived in the same small town. When you start out with 13 kids on one side and 11 on the other - and all of them went on to have between 4 and 6 kids - it's a lot. There's over 100 people just within those two generations. And that's not even counting the siblings of their spouses - which were many. One of my mom's older uncles was married 3 times and had a total of 27 children. I come from a really, really big family. My mom had around 60 kids in her graduating class - which was about average in that town back in the 60's. More than half of them were her cousins. Needless to say, many in my mother's generation ended up marrying people from other towns and cities and moving away. It was - and this was in the same generation. They are first cousins to me. Imagine if all 6 of the Weasley kids chose to do that with Arthur and Molly - or even Fred. Between them, they had 12 kids. Do you really think it would still have any meaning or significance if all 12 kids shared the names Arthur, Molly, and Fred? Even as a middle name, it would get old. Ginny is the youngest and it appears that she and Ron were the last two to get married and have children. At that point, their other siblings had already given Arthur, Molly, and Fred namesakes. Interestingly, I never see anyone criticize the fact that Ron and Hermione's kids don't appear to be named after anyone in the Weasley family - though I have seen some comments about the name Hugo being odd. But those may have been Hermione's parents names - or another relative of Hermione's, characters from books she enjoyed, authors, etc... Just as they could have come from famous Quidditch players that Ron liked. Harry and Ginny named their kids after people who were important to both of them. I think what matters more is that they chose those names together rather than who their kids were named after. Harry was not the type of person who was overbearing or pushy so I can't see him forcing Ginny to do anything she didn't want to do - nor can I see Ginny letting him. I disagree. I see nothing "creepy" about Harry naming his children after his mother, father, godfather, mentor -- nor the middle name of Severus as Harry by then had several years to reflect on everything that happened. For me, the amount of time Harry had to reflect makes no difference because it doesn't change the fact that Snape hated him and would have hated Harry naming one of his kids after him - which makes the act disrespecful, IMO. You don't honor someone by doing something you know they would hate. Nor would those years change the fact that a large part of the reason Snape hated Harry was because he was in love with Lily and Harry was a living reminder that Lily loved and married James - which makes the act creepy, IMO. There are some things in life that you just should not do, IMO. For me, the amount of time Harry had to reflect makes no difference because it doesn't change the fact that Snape hated him and would have hated Harry naming one of his kids after him - which makes the act disrespecful, IMO. I will answer this in the Snape thread. You don't honor someone by doing something you know they would hate. Nor would those years change the fact that a large part of the reason Snape hated Harry was because he was in love with Lily and Harry was a living reminder that Lily loved and married James - which makes the act creepy, IMO. There are some things in life that you just should not do, IMO. Well Harry obviously thought it was an ok thing to do. I just don't see Harry giving his son the name of Severus to spite Snape. That to me is totally against Harry's character, and against what Harry tells Albus Severus on the platform at Kings Cross. So Harry's opinion seems to be clear on the matter in his regard, IMO. Personally I don't find it creepy nor disrespectful. Last edited by TreacleTartlet; January 22nd, 2012 at 1:21 pm. I don't post in the Snape thread anymore. Might be better to send an owl. Well Harry obviously thought it was an ok thing to do. I just don't see Harry giving his son the name of Severus to spite Snape. That to me is totally against Harry's character, and against what Harry tells Albus Severus on the platform at Kings Cross. So Harry's opinion seems to be clear on the matter in his regard, IMO. Harry never actually explains why he did it on page, but for me, it does not matter because, in this case, the action itself overrides whatever the intent might have been for Harry - or for Jo. The good thing about the story being presented in third person limited omniscient POV is that Harry's opinion can be compared and contrasted to the objective facts presented by the third person narrator to determine whether Harry is right or wrong in his opinion. The reader can make up their own mind and form their own opinion based on the objective. That is a large part of why I find that to be unbelievable and poorly written. Of all people, Harry should have known better, IMO. It was shown in the text - as well as confirmed by Jo - that Harry knew that Snape hated him and he knew that a large part of the reason Snape hated him was because Lily had chosen James so Harry should also have known that naming one of his kids after Snape was both disrespectful to Snape and rather creepy in regards to the love triangle, IMO. I think it was rather disrespectful to his parents as well. Last edited by meesha1971; January 22nd, 2012 at 1:38 pm. Harry never actually explains why he did it on page, but for me, it does not matter because, in this case, the action itself overrides whatever the intent might have been for Harry - or for Jo. 1 I think Harry does give us an idea about why he named his child Albus Severus - I the case of the middle name he was recognising the bravery of someone. 2 I thing that the intent is relevant both to Harry, to Severus (if he should come across the information in the after life, or some such) and in many cases to the reader as well (although as you prove not all readers! ) I tend to think that the reason is always pertinent if someone insults deliberately then it says something about that person, if they do so accidentally or inadvertently then I think the person insulted would generally speaking, once they were aware of the misunderstanding, view the matter differently - I know my grandmother did when I was given my middle name after her name (one she hated so much she never used! What were my parents think?! ). I think it was rather disrespectful to his parents as well. Why? I don't think James or Lily would've objected to it. Snape was a war hero who played a pivotal role in the whole thing, not some creepy ex. I doubt Snape would've cared what Harry did when he was dead. Harry knew that Snape died thinking of him, furthering his mission, and providing the information which led to his survival. Little James, little Lily, and little Al might not have been born without Snape's final sacrifice, which enabled Harry to make the choice to give himself up to Voldemort as Dumbledore had planned, the choice which led (as Dumbledore hoped) to his survival. It's one reason I find discussion of the naming traditions of posters' families in this context a tad beside the point. 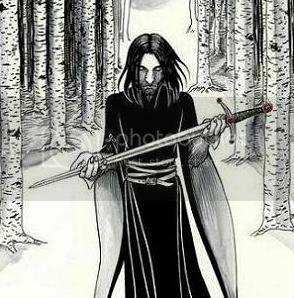 Harry and Snape's circumstances in this story are far from usual, they are melodramatic beyond even the drama of a "usual" tragic early death. Beyond this, however, I think there is more. The argument seems to run that Harry "knew" Snape hated him and should somehow have considered this a reason not to name a son for him. How, I ask, did Harry know this? How do we know what hides the heart and mind of another human being? In my opinion, we don't, ever, and this is one of the key things Harry has learned by the final chapter of DH. Hours before Harry proudly throws Snape's betrayal of Voldemort in Voldemort's face, Harry could not have dreamed that he would be saying such things about Snape. No more do I imagine he dreamed he would offer Voldemort a chance to avoid his death. Harry understands that he can only judge people by their actions. CoS "It is our choices, Harry, that show what we truly are..."
So no, I do not think Harry chose the name despite "knowing" Snape hated him, and would "hate" (despite being dead?!) this recognition from Harry. I think Harry decided that the choices he learned of from Snape's memories made Snape a man who deserved the honor Harry bestowed on him, and that was all that mattered to Harry in the end. I also found that to be very disrespectful towards all those people who genuinely cared for Harry and fought by his side - standing up to Voldemort directly. I would say Neville was the bravest man Harry knew - the one who actually got in Voldmort's face and told him off and then killed Nagini. Not to mention Arthur - working at the Ministry, surrounded by Death Eaters, and still courageous enough to get into Runcorn's face and tell him what he really thought of him. We knew that was really Harry, but Arthur didn't. Molly, Bill, Charlie, the twins, Ginny, Ron, Hermione, Luna, all but 2 of the DA members, everyone in the Order, Neville's grandmother - I could go on and on. So many people that Harry knew showed staggering amounts of courage. So that all goes in to this being an unbelievable and poorly written scenario, IMO. To some extent, I would agree. However, we aren't talking about something that was done by accident or a misunderstanding. Harry knew that Snape hated him. There was never any doubt about that and everything he learned about Snape only emphasized that point - especially Snape's memories. Snape himself made a point to prove to Dumbledore that he hated Harry and was not doing any of that for Harry or the greater good - he was only doing it because of Lily. When you know without doubt that what you're doing would be considered insulting by someone, it is not an honor or a sign of respect to go ahead and do it anyway. It's rude and disrespectful, IMO. I found it unbelievable that Harry would not understand that. I think James and Lily would have been insulted and disappointed to be honest. It goes beyond Snape's behavior towards them when they were students. Snape treated their son like garbage, made his life miserable, and capped it all off by going along with Dumbledore's plans to send Harry off to his death. I do not beiieve that James or Lily would have appreciated or approved of any of that. They sacrificed their lives so Harry could live - not so he could be used as a pawn by Dumbledore and Snape. As I said before, I think Harry should have known better and I don't find it believable that he did not. I think Snape would have found it insulting and unforgivable - the same as he did with James saving his life when they were students. Harry knew that so he should have known that would be a disrespectful thing to do, IMO. As did Snape and Dumbledore. Harry has Dumbledore and Snape to thank for his continued existence. Harry walked to his death with James and Lily alongside him and they did not tell him not to do it. IMO they saw the big picture and understood it. Harry was not sent to die because of some random Dumbledore scheme. There was no other way around it. At the end of the day, it was Harry's decision and IMO his parents would have accepted whatever he did. I can even imagine Sirius grudgingly agreeing to it. I'm not sure about this. After DH came out, I believe there were doubts as to whether Snape cared about Harry. I don't think Harry spent a lot of time analyzing Snape as we do over here. When Albus was named, Snape was long dead and I think Harry named him because he wanted to. I don't think he did it picturing Snape looking from the heavens and smiling. If he was alive, definitely. With him dead, I don't think he'd care. Why would he ? He wasn't going to have to meet Harry or face the world about it. If he was alive, I think he'd have done everything he could to keep the Lily story private, even from Harry. This is not the Snape thread and it should not be used to get your feelings about Snape (positive or negative) off your chests. Obviously, there will be some overlap, but if you're wandering too far from Harry's opinion of Snape onto your opinion of Snape, then you've gone too far and you should be on the Snape thread. While that is what someone else would have done, they (or we) are not Harry. This is a decision Harry made with Ginny, for his own reasons. Some seem obvious, as with Lily and James. And I was not surprised he & Ginny included Luna. With Al's middle name, he gives us a clue as to why, so we do have an insight into his reasoning there. Personally, I don't see any of these choices out of character for Harry -- they're exactly what I'd expect from him. And on a side note, I strongly disagree with your comment on the author's writing. Just deleted a bunch of posts, because their relevance to Harry was, at best, tangential. Every post must clearly relate to Harry's actions, feelings, thoughts, choices etc. Members joining the debate at your post should not have to read through the rest of the page in order to see how your post relates to an overarching argument about Harry. I don't mind the odd off-topic line in a post which is mainly about Harry, but when posts are wholly or mainly about James and Lily/the Weasleys/the poster's RL they will be deleted. I'm not going to inthread again, I'm just going to forum ban people and delete their posts. You have been warned.